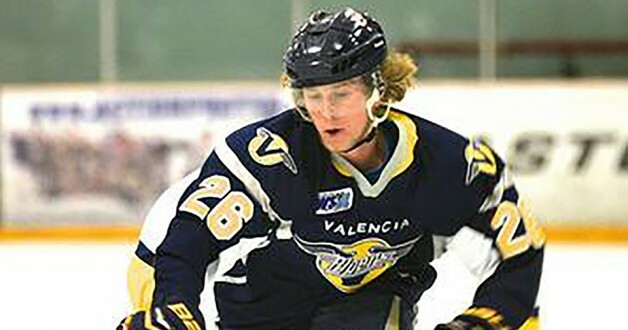 In each of the last five seasons, the Valencia Flyers have improved on their win total from the year before. It’s a trend Flyers general manager Scott Allegrini would like to see continue in 2015-16. But after piling up 35 wins in the Western Hockey League (WSHL) last season – the most in franchise history – the Flyers ended the year with a loss to the Fresno Monsters in the Western Division finals. So, Allegrini went into the summer not thinking so much about extending Valencia’s increasing run of regular-season success; instead, he was more concerned with crafting a team that’s capable of a long run in the postseason. “Going into this offseason, one of the biggest items we wanted to focus on was to recognize where the flaws were in that final series with Fresno,” said Allegrini, whose club won the first game of last season’s best-of-three division finals, 3-2, before losing the next two by a combined score of 14-3. “Playoff hockey is obviously a lot different than the regular season, so we tried to fill some of the gaps we noticed in that series by targeting some more size upfront as well as a little more physicality from our defensemen, and that’s what we went after. As part of increasing depth upfront, Allegrini is counting on two players in particular to play a big role. Now entering his third season with the Flyers, Saugus native and alternate captain Luc Whyte was limited to only 26 games last year after suffering a broken collarbone, but scored 15 points in those 26 games. Whyte will be leaned upon right out of the gate to provide scoring punch and veteran leadership for a Flyers club that will have 13 new faces in the lineup when they open their WSHL season on Sept. 26 in San Diego. Allegrini has similar high hopes for the second player – Norwegian-born forward Joakim Hofstad, who arrives in North America with the potential to be a game-breaker right away. “Joakim will be a top-six player,” said Allegrini. “He’s got the size and he’s got the skill. It almost looks like he’s not moving out there because he’s so smooth and so big. While admitting he’s still in the market for another defenseman before the puck drops on the new campaign, Allegrini is comfortable with the direction his club is headed. However, even with a 52-game regular-season schedule looming in front of him, he still has thoughts about Game 1 of the postseason. “Increasing the win total isn’t as big of a deal as increasing our success in the playoffs,” said Allegrini. “Losing nine games like we did last season, it’s hard to get much better than that, and our division is going to be more competitive this year than it was last year.